It was obvious after the warning about the 4 hour parking restrictions that all the drivers were poised locally to swoop into Elvaston Road at 12 noon to try and get the nearest positions to the bowls club gate. At 11:55 all was quiet and then suddenly cars arrived from all directions jockeying for the best place. After that initial bit of excitement we took ourselves into the club for refreshments before the game. Hexham Elvaston club members certainly looked after us in that respect. After some anxious moments for both Captains we eventually got onto the green with a full team each. 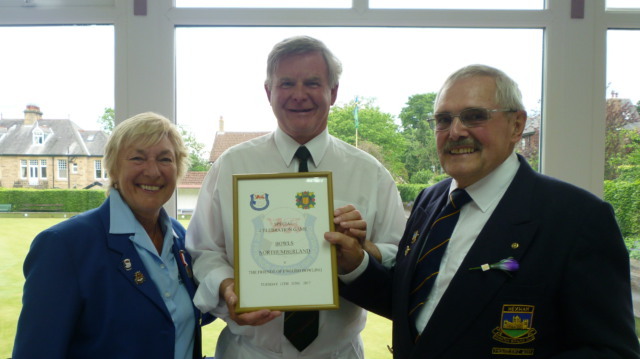 Club representative David Robertson welcomed George Batey, Assistant Secretary & Match Secretary of Northumberland Bowls and Marcia Dunstone, Match Captain for the Friends onto the green. All rinks were announced and everyone took their places for the commencement of the game. The rinks were a bit slow to start with but soon everyone got into the swing and pace of the green and started to have a competitive game. It soon became apparent that one rink for the Friends was doing particularly well with cries of “E’s only gorn and drawn it” for many of Adie Lloyd’s bowls. And indeed the top rink for the Friends was Adie’s with team members; Lesley Summersgill, Maddy McConomy and Tony Taylor. Paul Robson’s players were very kind to the opposition and allowed them Top Rink for Northumberland. After a very enjoyable post match meal, thanks were offered to Hexham Elvaston club by both match captains for all their hospitality. Both captains gave Top Rink prizes each of the 2 top rinks and gave the opposing captain a gift bag of a bottle. Some hilarity was caused by the Friend’s match captain inadvertently giving back the gift bag just received instead of her own gift. 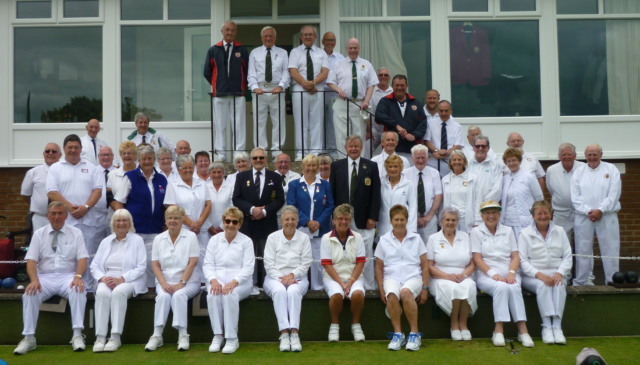 Playing for the Friends were members from 12 counties, some from as far south as Kent and Hampshire, Wiltshire in the west and York and Northumberland in the North, plus 3 past National Presidents; Kay Kerley, Adie Lloyd and today’s Captain, Marcia Dunstone. 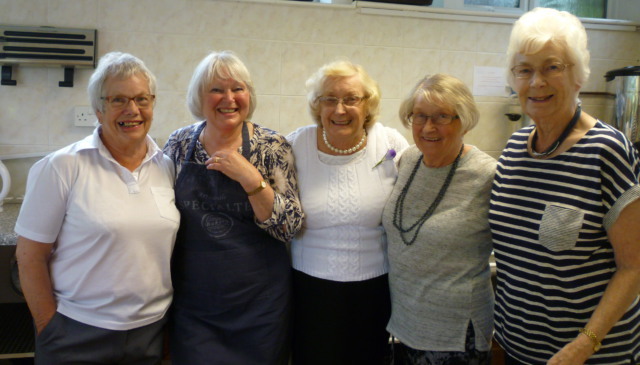 Many had made a mini-holiday around the three matches in Northumberland and were looking forward to the next two matches in Gosforth and Alnwick as well as exploring more of the beautiful coast and countryside here. Match Result was FEB 106 and Northumberland 99.